Here was the room the day we got the keys! 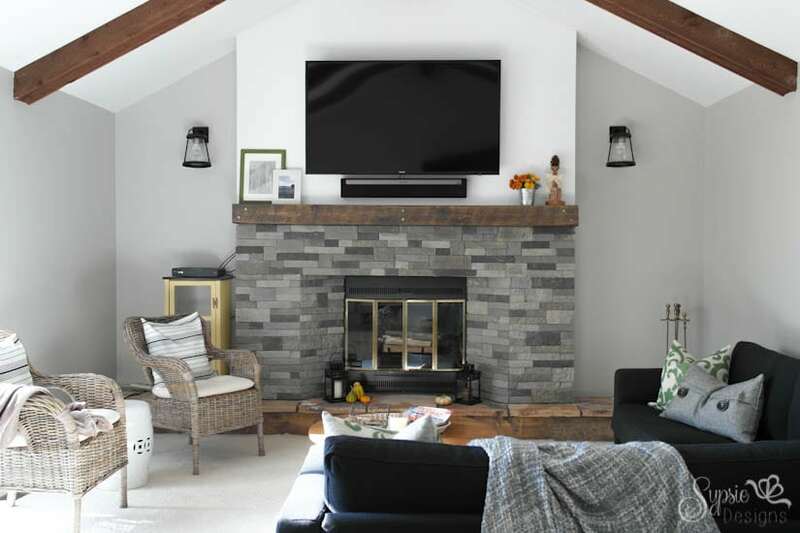 We loved the idea of having a fireplace, just not that exact one : ) So, instead of tearing down all of that old faux stone and replacing it with another flat and modern solution, we decided to have it built out to create more of a focal point. 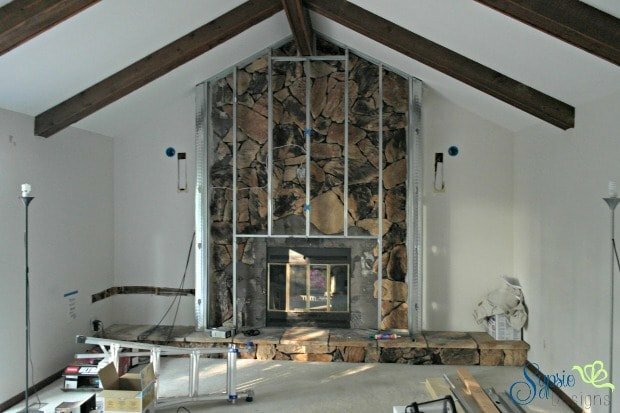 A little drywall and finishing, and we were ready to put together our new fireplace! 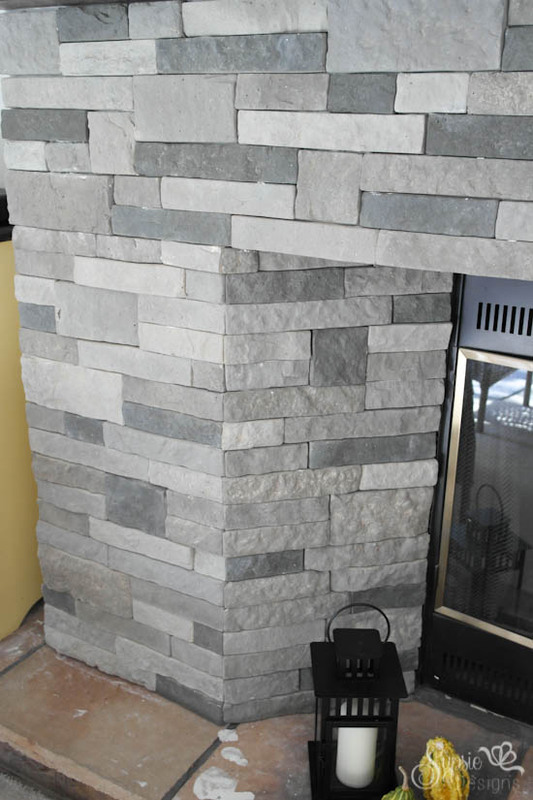 Anyways, it’s a faux stone (ironic since that’s what we just covered up) that comes in a few different colors and is crazy easy to install. All you need is a tool to slap some adhesive on the back of the stone, and any type of handsaw you have to cut them. Spring Creek, the gray tone, was our color of choice. We did add a few “prep” steps to make the process easier, which involved hosing them off (our boxes were super dusty from shipment but that could have just been us!) and sanding all of the sides to get off any uneven pieces that would cause the stones to go on uneven. 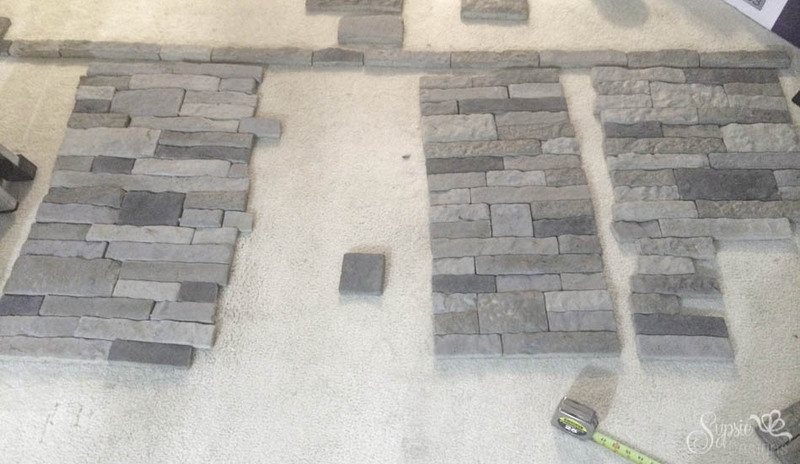 Then, since there are 4 different colors and a variety of sizes, we decided to lay them all out to get the general layout for the wall, and then got to cutting and pasting! Do you see what I did there. 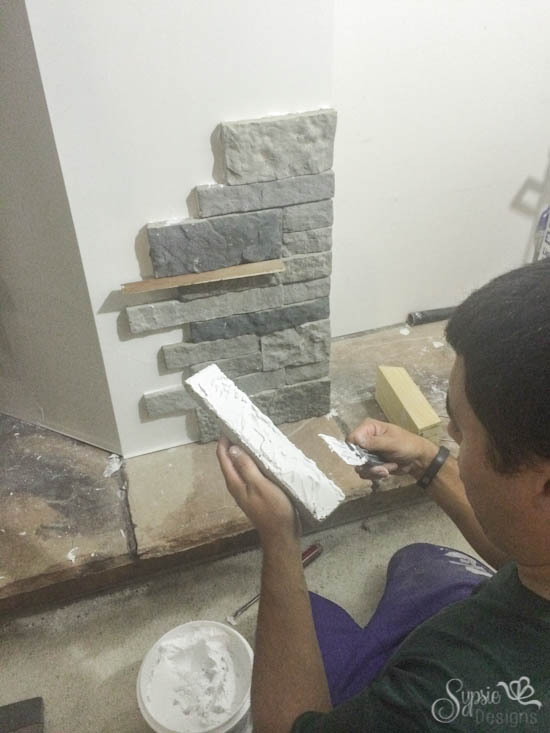 They went on just as promised- very easily, and we were even able to cut them at a 45 degree angle around the corners near the fireplace insert. The whole job took about 3 nights of work between the two of us, but I can imagine it would go much faster if you had less/non-angled cuts! We left the sides blank for now because eventually built-ins will be added, and took it all the way up to where the mantle was going. Boom. 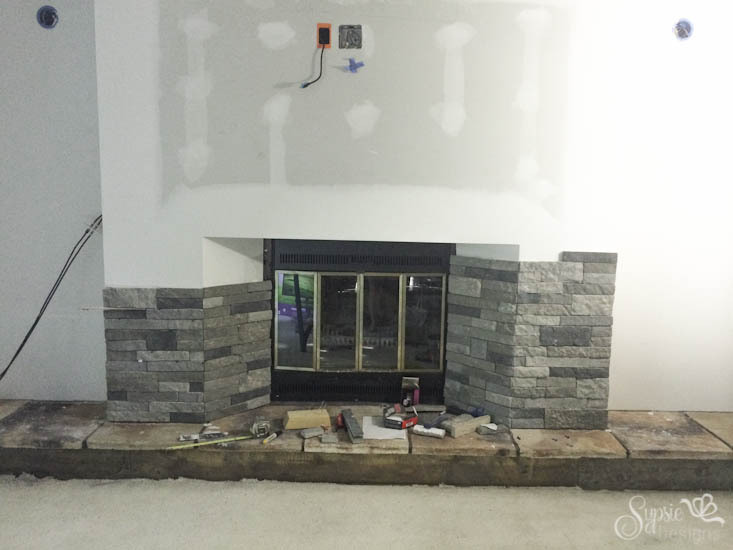 We had a stone fireplace for way less than the cost of tile! 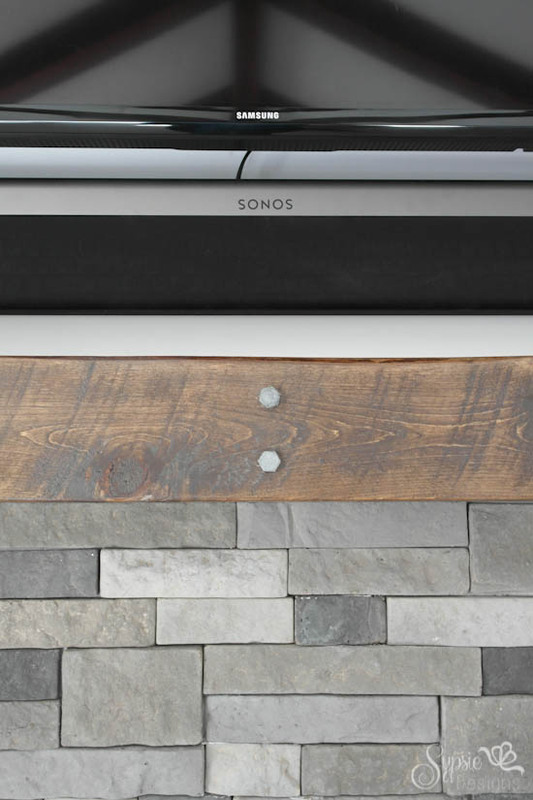 The next project on today’s list is an amazing rustic mantle. 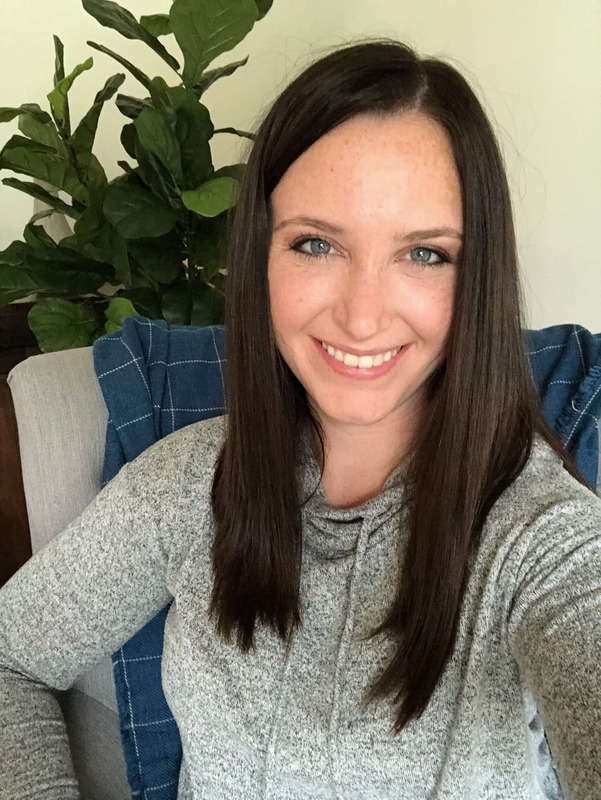 This is another project that M surprised me with while I was gone on a long weekend with the girls, and I absolutely love it! (the last weekend I was gone he did the tile in our bathroom reno!) He’s pretty amazing! 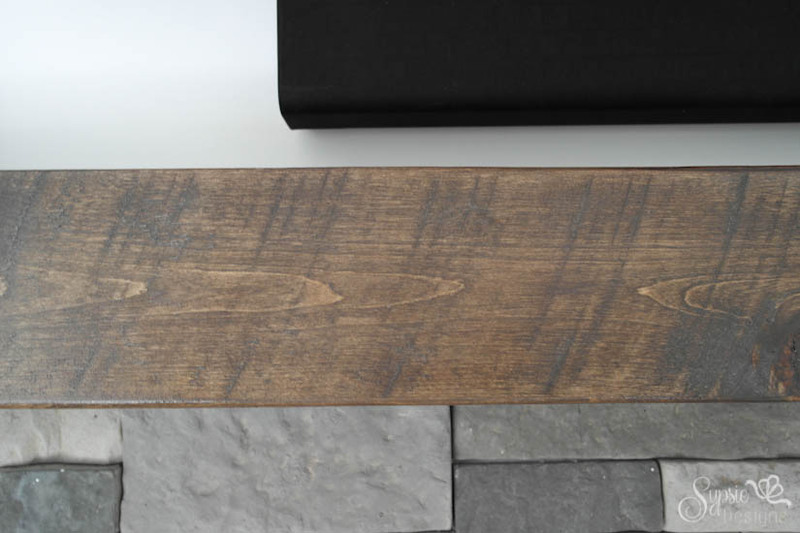 We had been looking at different reclaimed wood options from websites and even craigslist for old barn wood, but they got a bit pricey and it was becoming a challenge to find the right look we were going for. 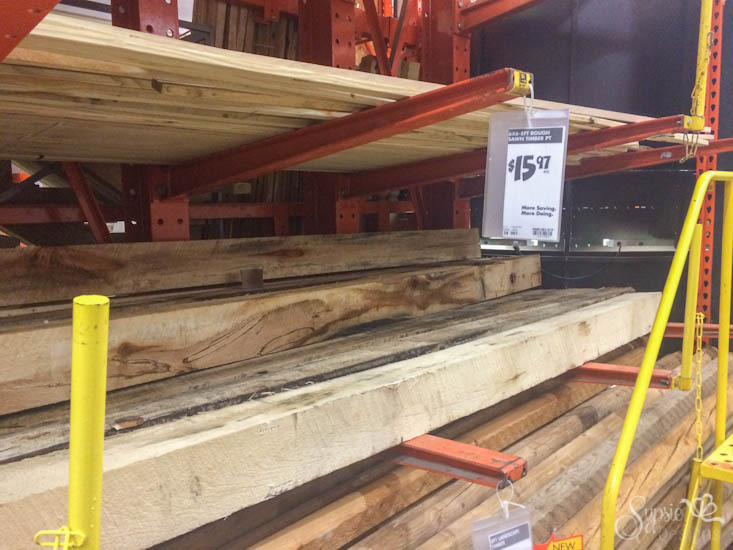 Then, M came up with a brilliant plan that got us the look of reclaimed wood for less than $50! Sound like something you’d be interested in? Here’s a quick tutorial! If you didn’t already guess, the first step is to sand, sand, sand and then sand some more. But it’s totally worth it- I promise! He started with 60 grit and moved his way up to 300. 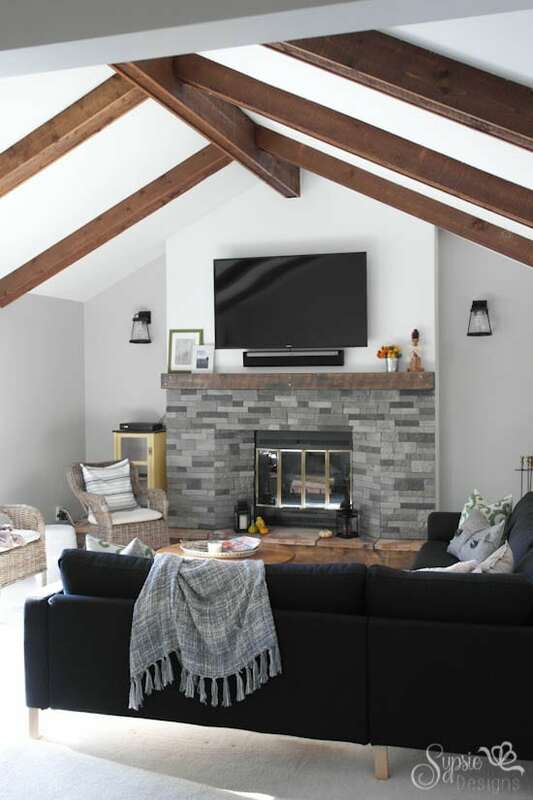 After everything was all smooth, he stained the beam with a custom mixture- one coat of Rustoleum Weathered Gray followed by a coat of Minwax Special Walnut. Stain is something that you can never really mess up- simply add a different tone or darker color, or sand and start from scratch! A few coats of poly were added for protection and it was time to hang it. 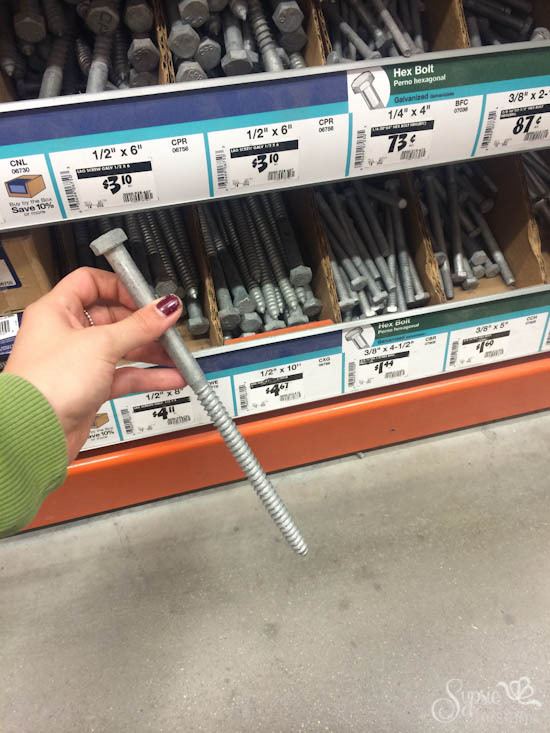 M picked up 6 of these 10″ 1/2″ lag bolts from the store for about $5 each. Using a 3/8″ drill bit, he drilled 6 holes into the beam, two on each end and two into the middle, as well as 6 holes into the wall. Since we reinforced the wall completely across with a 2×6 when building the structure, we had a solid surface to attach the beam too. If we didn’t we would have had to drill into the studs (VERY important so that the heavy beam is stable). After all the holes were pre-drilled, it’s as easy as cranking the bolts into place! I absolutely love the extra rustic touch it adds! Bonus: It’s a great arm workout. Doesn’t it just have the coolest texture? Like I said, I’m in love! 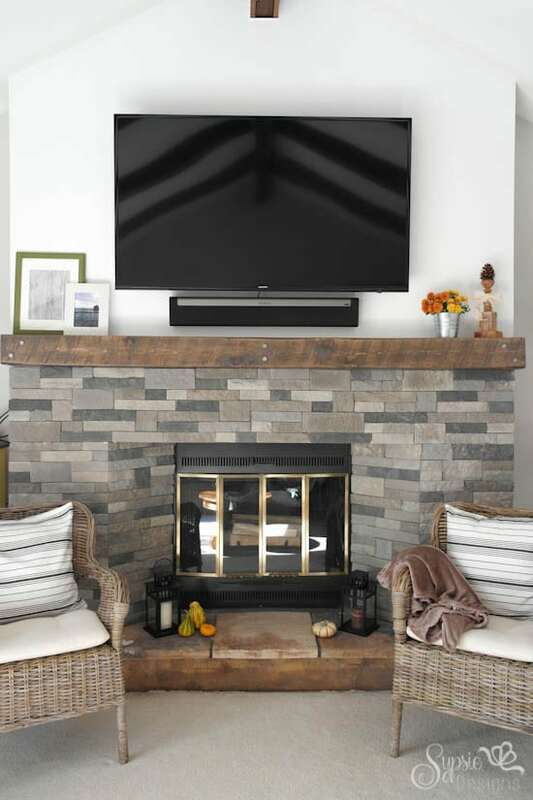 And that wraps up the adventures in stone and our $50 “reclaimed” wood mantle! What do you think? Next up is the hearth and that insert- we’re about 1/2 done with it all and will share once completed! 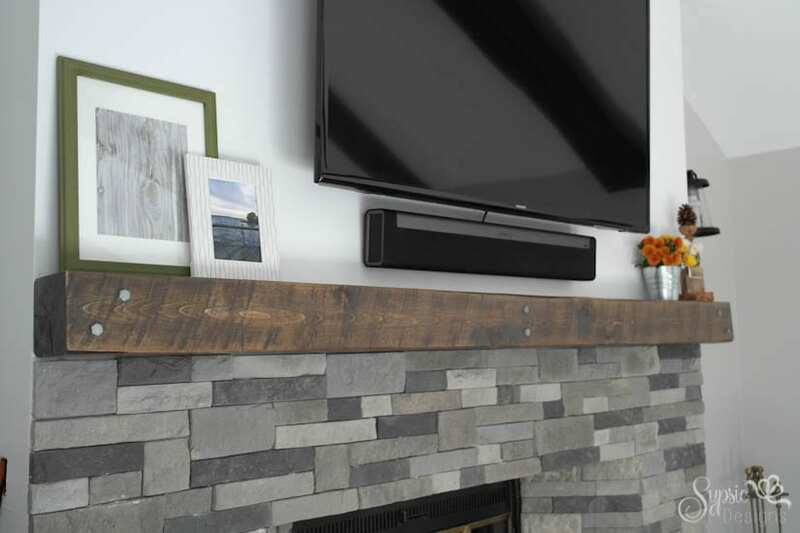 Follow Sypsie Designs’s board Living Spaces on Pinterest. Hello. 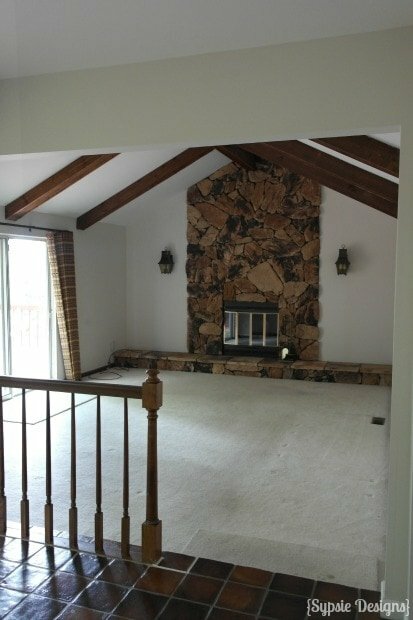 What paint color did you use on the rest of the room around the fireplace? Thanks.